The Center for Biological Diversity filed a formal petition today with the National Marine Fisheries Service seeking Endangered Species Act protection for the orange clownfish, star of the movie Finding Nemo. The petition also includes seven coral dependent damselfish threatened in Florida, the U.S. Virgin Islands, Puerto Rico, and other Caribbean islands. Clownfish and damselfish are at risk from ocean acidification, which is caused by the oceans absorbing man-made pollution which damages the hearing, sight, and smell of the fish. The pollution also interferes with the ability of young fish to avoid predators and find their coral reef homes. 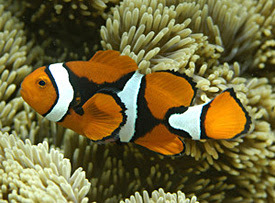 The orange clownfish and damselfish may also face threats from the global marine aquarium trade. The United States is the world’s largest importer of ornamental marine fish. Studies indicate that the orange clownfish and black damselfish are suffering population declines in the wild because of overharvesting for the aquarium trade.